It’s a simple truth, I love using products that offer great user experiences. I think about user experiences… a lot. So much so that I’ve dedicated nearly 20 years of my life learning what techniques work and how to stir up emotions in users that get great outcomes. I’ve worked with companies like IKEA, Spotify, and Mercedes-Benz to craft amazing experiences for their clients and customers. I count myself as blessed that I get to work with these open-minded companies who keep their users as their number one focus. Now I’m at the point where I have learned so much that I can’t help but share it with you all. 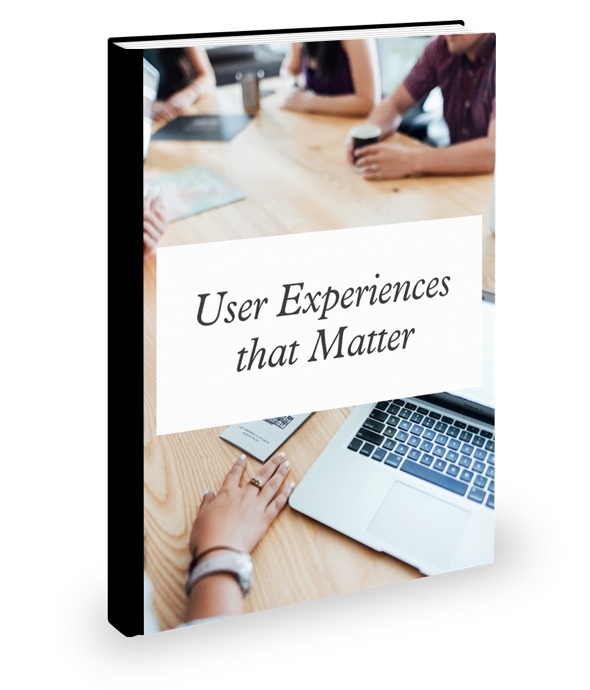 A year ago I decided to share what I know with you in my first book, User Experiences that Matter. This was the first product I created myself and it was terrifying. I’d never launched a product that was so personal before and putting yourself out there that far is never a comfortable experience. Sales were well above my expectations (I didn’t expect too many), but as with all products they eventually levelled out. So, being focused on creating great user experiences, I couldn’t help but take a closer look at the book and the launch. I spent time considering all the feedback I got and making the changes that could improve the entire experience. I suppose you could say that I’m practicing what I preach. Mostly what I heard was that people wished there was more. I was more than happy to provide! In a couple of weeks there will be a HUGE update to the book. I have added additional chapters talking about everything from emotion driven design to how to build a product that lasts. I took time to sit down with more leaders in industry and get their take on building amazing user experiences. I want for you to think of this as a second edition release because not only will it feature tons of new content, but it has been completely redesigned from the ground up. Whether you’re a professional supplying services to clients, building a new product, or marketing the next great solution, this book is for you. A great user experience can give your product a boost to that next level of success. Let this new and revised User Experiences that Matter be your guide! Sign up here and I’ll let you know the minute it launches! ← What do Conversions Mean to You?